Bill started his sculpture business 25 years ago after finding he had a real passion for transforming metal into works of art. In the early stages of the business where Bill made gates, balustrades, ornate doors and many architecturally designed pieces all of which were commissioned. 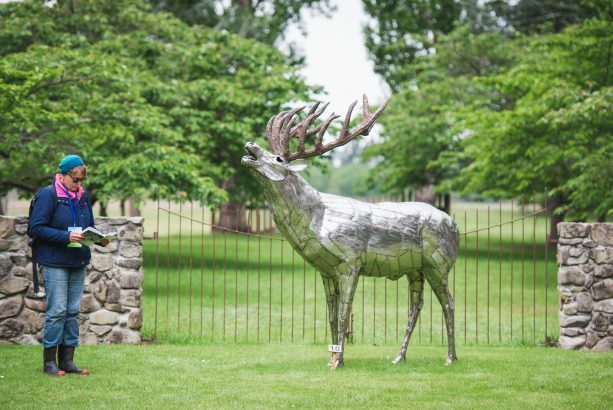 Now his work consists in stainless steel sculpture of wild life pieces from Birds of Prey to Roaring Stags and many public Monumental pieces. 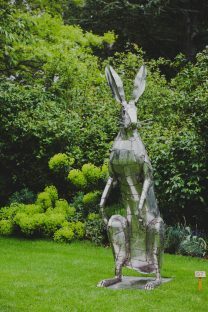 Bill works mainly in stainless steel as well as corten, mild steel, copper and aluminium. 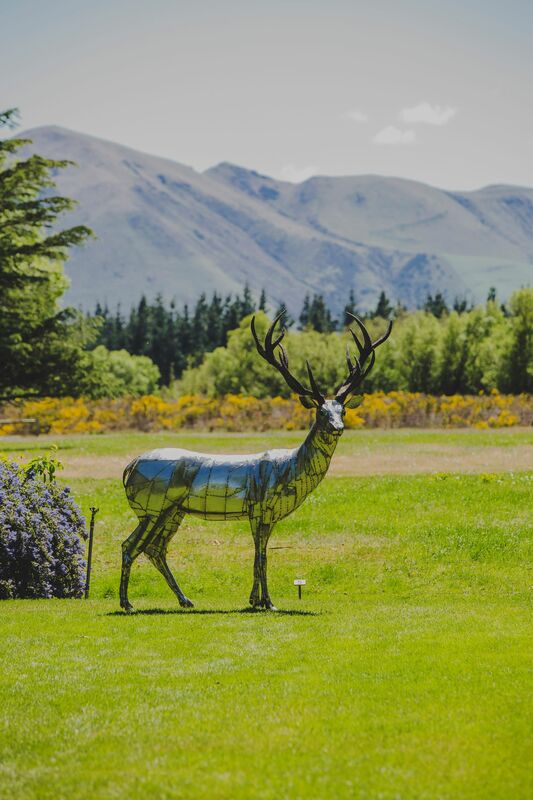 He has work in private and public installations throughout New Zealand as well as Australia, United Kingdom, Norway and the United States. Michelle Clarke started making Sculpture around 13 years ago once she had finished Home Schooling their two daughters Sarah and Elisha who are also metal artists. She is proud that her family are self-taught artists, as she feels this provides them with no barriers as to what they imagine and create. 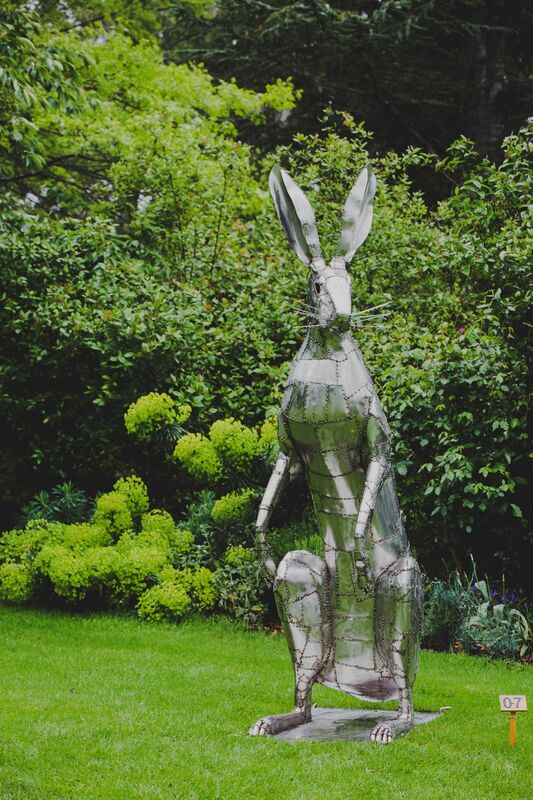 Michelle enjoys the freedom sculpting gives and makes anything from sheep to people but mainly large stainless steel Hares. 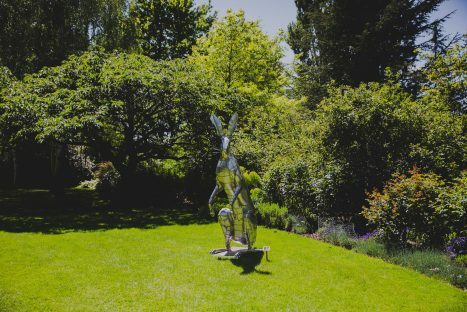 Michelle works mainly in stainless steel but also enjoys using copper, mild steel and recently recycled aluminium along with coloured aluminium to shake up some of the works. 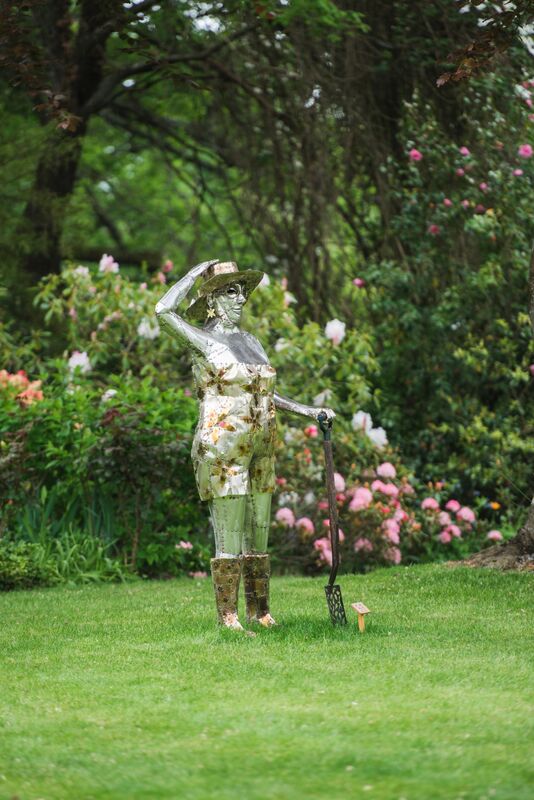 Join our newsletter and keep up to date with Art In A Garden news and upcoming events. 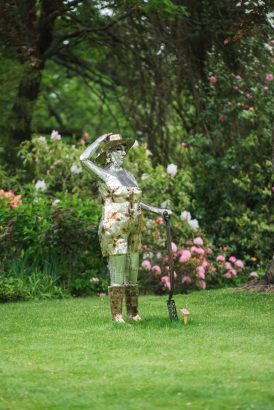 © Copyright 2017 - Art in a Garden Copyright of all exhibits remains the property of the respective copyright holders.